Welcome on the 4holidaypoland.com web sites. 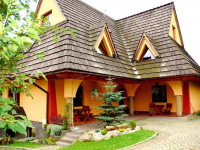 The website was created for people who plan to go and look for accommodation in Poland. Anyone who has ever planned a trip knows how important it is to choose appropriate accommodation. Most people in the organization of holiday or business trip meet with quite a dilemma. Which hotel to choose? Where to stay? 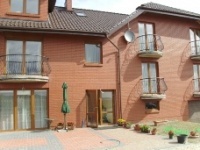 We would make an effort to make a 4holidaypoland.com service helpful in selecting the right accommodation. We are working on the continuous development to meet the expectations of our users. How does our service run? Owners of accommodation will summarize the information and materials related to their accommodation. Service 4holidaypoland.com presents these presentations online. You can find quickly an object in a given city, province, region with our search engine. Contact the property is via e-mail correspondence (reservation form) or by phone. We wish you a successful leisure choices and nice holidays.